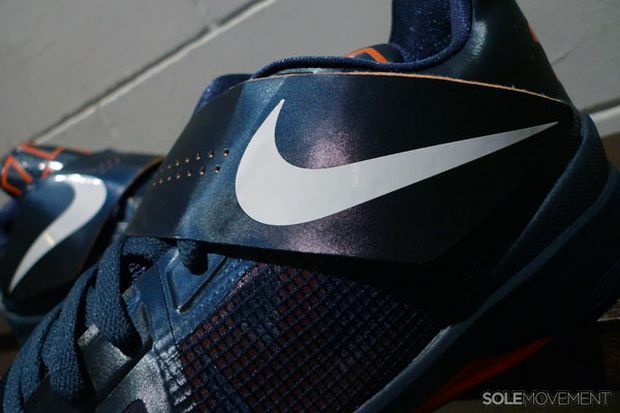 Yesterday we gave you a look at a new colorway of the Nike Zoom KD IV, that happened to make it’s way into Nike Basketball accounts out of nowhere. 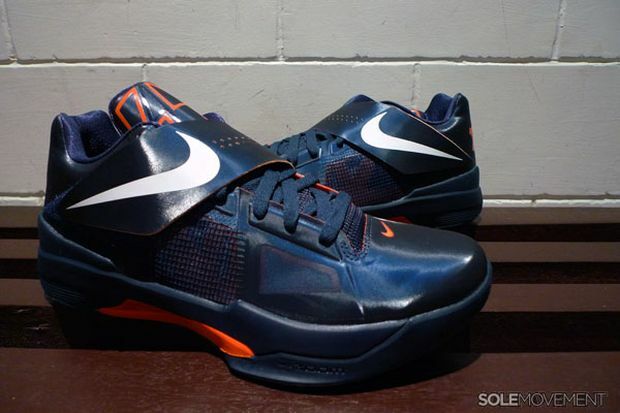 However, we don’t mind getting spoiled with new colorways out of nowhere especially if they bear the classic OKC colors. 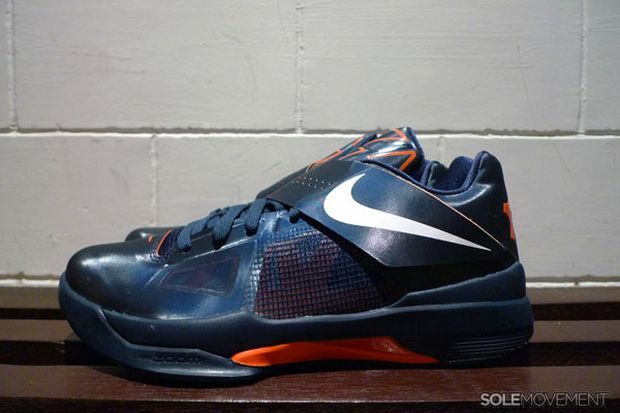 Available now is the Nike Zoom KD IV Midnight Navy / Team Orange, that features a nice combination of Navy and Orange on the uppers perfect or any Thunder or Bears fans. Check out the latest photos after the jump! isnt the OKC blue brighter tho? ?